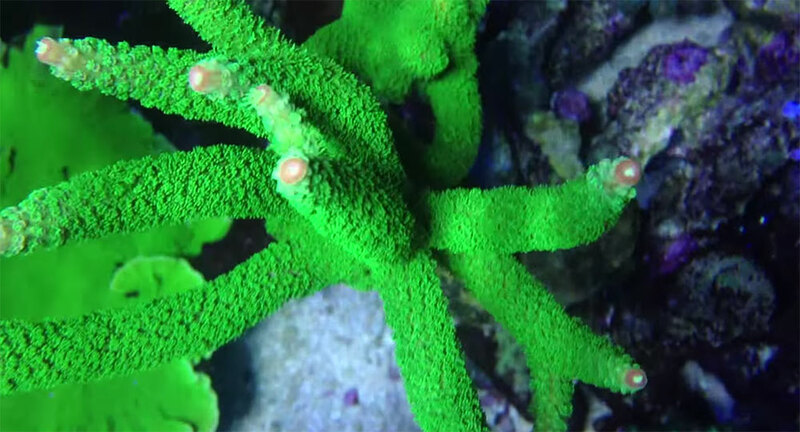 Virtually dive on Richard Colombo’s private coral reef! This weekend, take a virtual snorkel in this rapidly growing SPS-dominated reef aquarium by Richard Colombo. Watch the video below! 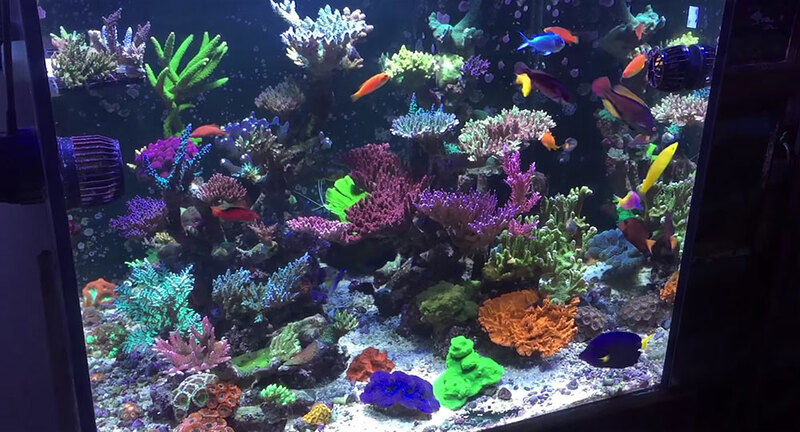 Some quick digging on Colombo’s Youtube Channel starts to paint the picture of this reef tank, a successful upgrade from a 60-gallon cube into a larger aquarium starting October of 2013. Here’s how the tank looked a few months in (December 2013). 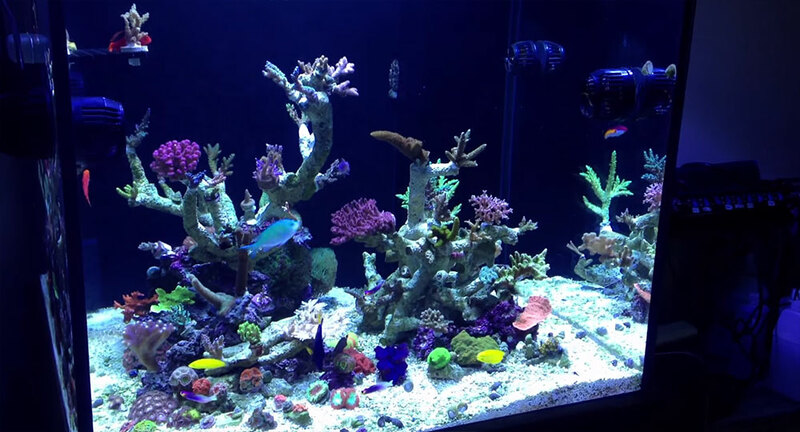 Richard Colombo’s 115-gallon reef aquarium, 3 months after setup, December 2013. Just 16 months since since setup, and only 13 months since the prior video, the tank has filled in almost completely (January 2015)! Richard Colombo’s reef aquarium, just over a year later, January 2015. Keep up the good work, Richard — we’d love to see continuing updates!